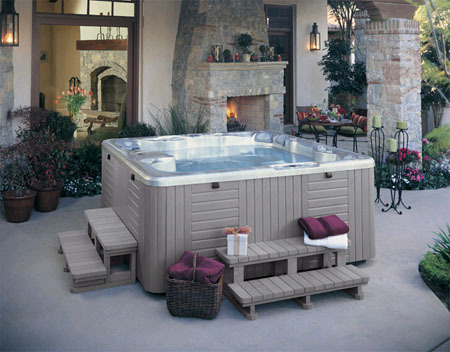 Since 1976, Caldera Spas has remained one of the most trusted spa and hot tub brands in the world. 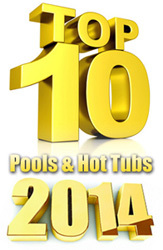 Providing quality hot tub products and customer satisfaction is our commitment to you. 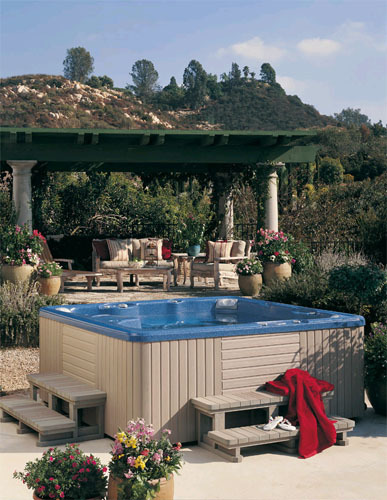 Watkins Manufacturing produces several lines of spas, including Caldera Spas. 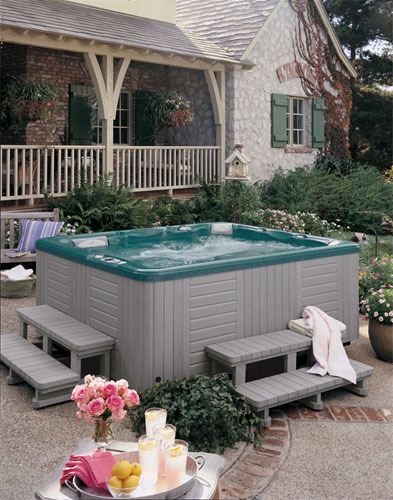 The company's residential portable spas range in size from large eight-person spa to a compact two-person indoor spa. These are generally available with both lounge and non-lounge seating accommodations. The retail prices range from $5,995 to over $13,000. All of Watkins' spa products are sold through specialty retailers. The company designs spas that deliver the maximum in hydro massage through exclusive, patented features. They are user-friendly, easy to own and operate, and easy to maintain. They believe consumers should be enjoying their spa rather than working to maintain it. Their philosophy is to manufacture the highest quality products, as evidenced by their ISO 9001:2000 certification. Watkins' quality systems meet the highest international standard for design and manufacturing excellence. 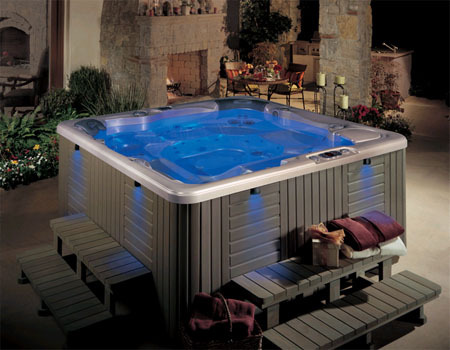 Caldera spas and hot tubs are subjected to many rigorous inspections and quality tests before leaving the factory. Caldera craftsmen give meticulous attention to every detail in each spa's form, function, fit and finish. With this high level of engineering and construction, it's easy to see why our exceptional limited warranties are among the industry's best. In addition, names you can trust are standing behind Caldera Spas’ commitment to you, because Caldera is part of Watkins Manufacturing, the world's largest manufacturer of premium spas and hot tubs. Watkins is a member of the Masco family of fine home products, including Kraftmaid cabinets, Behr paints and Delta faucets. You'll also find your Caldera Spas retailer is prepared to give you expert assistance every step of the way-from helping you select the perfect spa for your needs, to providing reliable service and advice. So when you decide to own a Caldera spa, it will be a totally comfortable choice for the perfect hot tub... in more ways than one. Unfortunately, we all experience stress at some time or another. Soaking in the warm, swirling water of a hot tub not only helps to relax tired, sore muscles, but leaves you feeling mentally and emotionally relaxed as well. Relaxing in a spa is the perfect way to slow down, unwind and spend quality time alone or with your family and friends. Caldera Spas is the Official Hot Tub Sponsor of the American Institute of Stress, an non-profit organization committed to educating the public on the negative physical and emotional aspects of stress and its implications on the quality of life. 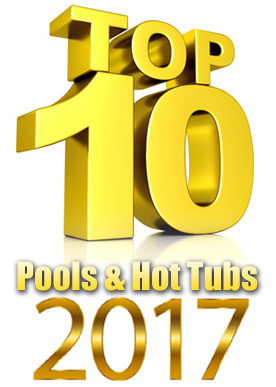 Pool and Spa Living Magazine, a premier consumer publication, has awarded Caldera Spas as a "Quality Buy" and a recommended hot tub manufacturer. PoolAndSpa.com is an independent organization which rates spas. 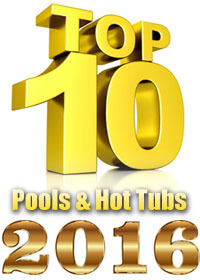 They recommend Caldera Spas as "Best of Class." Visit their website at www.CalderaSpas.com.